Sunyoung Kim is interested in improving the quality of everyday life through the use of technology. Leveraging mobile and ubiquitous computing technologies, she explores novel technical solutions that empower people to better understand the world around them and make informed choices for quality of life. She is also an affiliate faculty member in the Department of Computer Science. 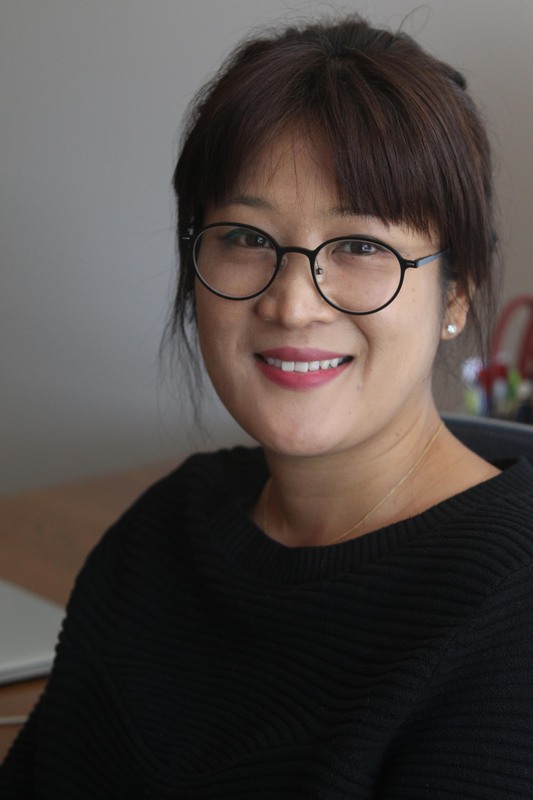 Sunyoung Kim, an HCI researcher, designs, builds, and evaluates ubiquitous computing technologies that can promote positive changes towards everyday health, wellbeing, and environmental sustainability. Before joining the Rutgers SC&I faculty, she was a postdoctoral fellow at Harvard University's Center for Research on Computation and Society (CRCS). She was a member of Aware Home Research Initiative and the Ubiquitous Computing Research Group at Georgia Institute of Technology. Previously, she worked as a user interaction designer and project manager in the field of internet media, user interface for mobile device and Ubiquitous Appliance for Apartment Complex. Kim, Sunyoung, Krzysztof Z Gajos, Michael Muller, Barbara J Grosz. ”Acceptance of Consumer Health Technologies by Older Adults: A Preliminary Study," In Proceedings of the 18th International Conference on Human-Computer Interaction with Mobile Devices and Services. Kim, Sunyoung, and Eric Paulos. "InAir: sharing indoor air quality measurements and visualizations." In Proceedings of the SIGCHI Conference on Human Factors in Computing Systems, pp. 1861-1870. ACM, 2010.